This informal look at the birds of Chisholm Creek Park meets at the main GPNC parking lot. Look for the group with binoculars. Bring your binoculars and discover the ever-changing varieties of birds that visit and live in Chisholm Creek Park. No birding experience is expected or needed, no membership in any organization is required, and no question is too elementary. Expect 1-2 miles of walking on paved paths. The walk will last approximately 90 minutes. Meet at the Great Plains Nature Center parking lot. 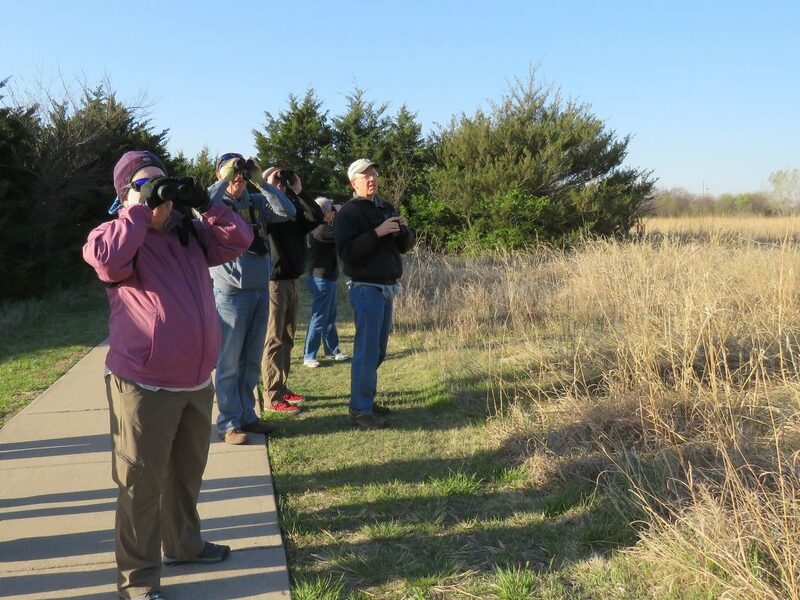 Walks are guided by experienced birders of the Wichita Audubon Society.